Comments: An excellent half-folio, reminiscent of several of the larger full-folio Cairo street scenes. 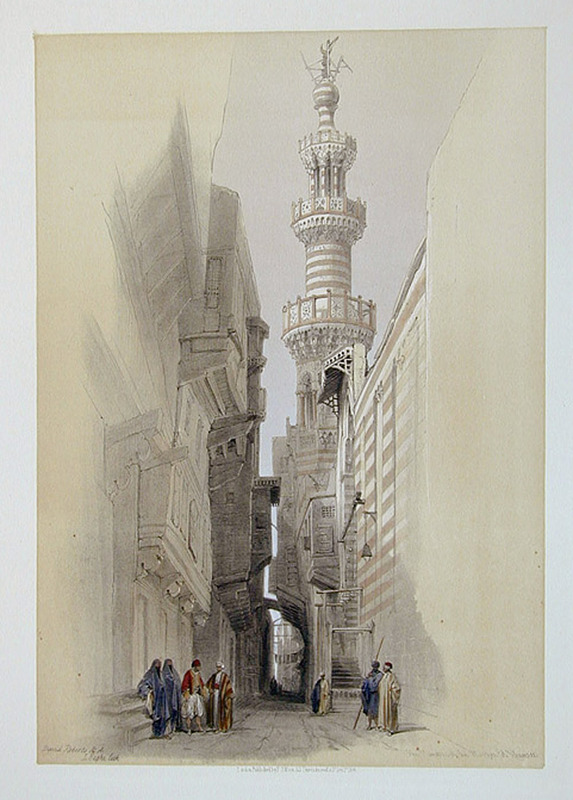 Title: Minaret of the Mosque of El Rhamree. Image: 9 11/16" x 14"